Vegas, home of the world’s largest mechanical neon sign—Vegas Vic, over Fremont St. (back in the day, his arm waved, eye winked and cigarette moved). Vegas, where more than 41 million people visit each year. Vegas, site of 17 of the 20 largest U.S. hotels. Vegas, home of the largest bronze statue in the United States—the MGM Grand Hotel lion, at 50 tons. Vegas, the brightest place on earth when looked at from outer space. And, Vegas—host of FABTECH 2016, where opening keynote speaker Sugar Ray Leonard sets the stage by explaining how preparation, focus, discipline, determination and attitude give all of us the power to win. After Leonard fires up the FABTECH crowd, on Wednesday morning, November 16 (9-10 a.m.), the doors will open to the show’s 550,000-net-sq.-ft. of exhibit space, where attendees will gain access to more than 1300 equipment suppliers showcasing more than 500 new products for our industry. 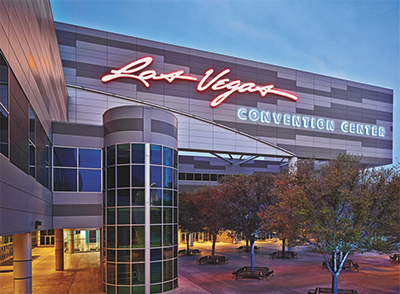 The event, taking place at the Las Vegas Convention Center, also provides educational sessions and expert-led presentations covering the latest trends and technology in the metal forming, fabricating, welding and finishing industries. The official FABTECH 2016 mobile app is designed to enhance your show experience. The app puts important show information in the palm of your hand so that you can access it anytime, anywhere. 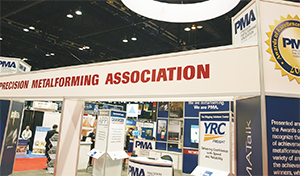 Search exhibitors, navigate the show floor, view and build your schedule, and stay connected via social media. The app is available for iPhone, iPad, Android and other web-enabled devices. 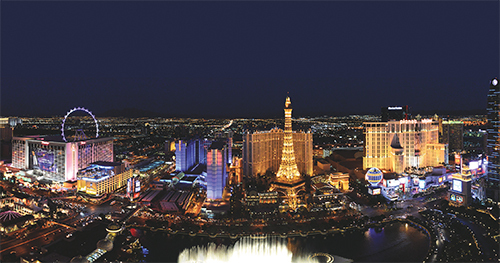 Las Vegas information with dining options and things to do. State of the Industry Panel Session: Post-Election Analysis, November 16, 12:30-1:30 p.m.
Our expert panel will review the 2016 election results and discuss the impact on the manufacturing industry and the business climate for capital investment, tax updates and what it means to your business. At stake in this election is not only the White House and Congress, but control of the U.S. Supreme Court, which will decide many controversial rules long after President Obama leaves office. Women of FABTECH Breakfast with Tech Tour, November 17, 7:30 a.m.
Join us for a networking breakfast celebrating the importance of women in the manufacturing sector. Hear how GE is ushering in a new era of manufacturing, merging hardware and software to reimagine how products are designed, made and serviced. Development Trends in Additive Manufacturing and 3D Printing, November 17, 8:30-9:30 a.m.
• Wednesday, November 16: 10 a.m.-6 p.m.
• Thursday, November 17: 9 a.m.-5 p.m.
• Friday, November 18: 9 a.m.-4 p.m.
To register to attend and for more information, visit www.fmafabtech.com. Our panel of experts will explore the technology and materials driving practical solutions and innovations using 3D printing. The manufacturing environment is demanding more customization and faster solutions. Using available and affordable additive manufacturing technologies can increase manufacturing efficiencies of complex products, improve performance, decrease cost and reduce waste. The expert panel will take questions and provide answers; based on real-world case studies. Advanced Manufacturing: Creating Competitive Advantages for Fabricators, November 17, 1:30 p.m. This expert panel will discuss what it takes to remain competitive in today’s environment and to succeed in the future of making things. Advanced manufacturing is high-productivity, high-profit, high-wage, technology-rich and relatively high value-added fabrication of globally competitive products that creates wealth and builds and sustains communities. RUN4MFG 5K Walk/Run, November 18, 7 a.m.
Shop Talk with “Counting Cars” Cast, November 18, 9 a.m.
Welders Without Borders: Welding Thunder Team Fabrication Competition, November 16, 9 a.m.-5 p.m., and November 17, 7 a.m.-1 p.m.